marine education and environmental stewardship programs. exquisite setting on Pleasant Bay! 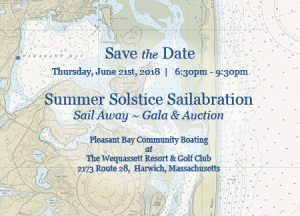 Reserve your place by June 7th at the Sail Away~Gala Auction.